Are there gaps or holes in your smile where you have lost teeth? These windows in your smile can be embarrassing, impact your oral health and even change your speech. With our cosmetic dentistry treatments, you can get back your complete smile with the help of a dental bridge. Ora Dentistry offers beautiful dental bridges that can fill the holes in your smile to give you a confident, stunning smile that will benefit your appearance and oral health. Missing teeth are more than just a cosmetic issue. Although they can definitely affect your self-esteem and confidence, there are other reasons to consider replacement options like dental bridges. Once one or more teeth are missing, your existing teeth lose their support and can shift into the open spaces in your mouth. Missing front teeth can affect your speech and losing back teeth can affect what foods you can eat. Keep your teeth in place and fill the holes in your bite with a permanent, fixed dental bridge. Dental bridges use your existing teeth as support for artificial teeth called pontics. This means there must be teeth next to the missing spaces that can be used to attach the pontics. Most commonly this involves putting dental crowns on the teeth on either side of a missing tooth or teeth.The crowns are used to attach the pontics that fill the gap. 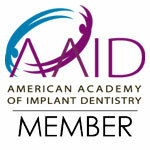 Once in place, the dental bridge looks natural and is functional. However, not everyone is a good candidate for a dental bridge; a consultation and exam are needed to determine whether this is a viable option to repair and restore your smile. Ora Dentistry offers beautiful dental bridges to fill the gaps in your smile. We also have other restorative options like dental implants, implant supported dentures and partial dentures. If you have missing teeth, you can have a full, complete smile again. Contact our office today to schedule a consultation with Dr. Dalla to explore your options.